From Wednesday June 1 to Wednesday June 15 (both days included), you can save up to 50% on TC Electronic plug-ins for PowerCore and Pro Tools. For instance, you can save at least 50% on 'Assimilator', 'Fabrik C' and 'Restoration Suite' for PowerCore and from 30% to 50% on 'MD3', 'UnWrap', 'Harmony4' and 'DVR2' for Pro Tools. Also, you'll find a discount on 'Access Virus' for PowerCore. All PowerCore plug-ins come in VST and Audio Units versions, and the Pro Tools plug-ins are available in TDM format. All plug-ins support both PC and Mac. Note that future development of the PowerCore platform has been ceased, but user support is still available. To get a complete campaign pricing overview, visit www.TC-Now.com. TC Electronic Nashville TonePrints 30 new TonePrints have been gathered in a special ‘Nashville Bundle’ that is available as a free download on TC Electronic’s website. TC Electronic BH500 and BC210 Review Ever since the futuristic RH450 came out (directly from a Georges Lucas film), the viking manufacturer has kept on developing products for bass players. 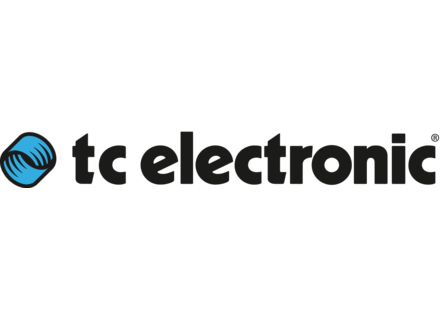 TC Electronic Updates TC TouchMonitors TC Electronic adds dual radar display to the LM6 loudness radar meter algorithm for TC TouchMonitors with software version 1.11.